Georgia has new guidelines for certificate of Title applications supported by Surety Bonds. If the vehicle was last titled in a state other than Georgia, a Certified Vehicle Title History Report is required. Use this map and link to the state of origin for information on your vehicle. Most bonds can be approved and delivered same day! It's frustrating when you can't title your car; we understand and value your time. When you are missing the proper supporting documents required by law for the issuance of a certificate of title on a required motor vehicle in the State of Georgia, you may still obtain a certificate of title with a surety bond supplied by the Surety Bond Girls, LLC. In many cases, our convenient mobile application center can come to you with Georgia's only on site title bond service. 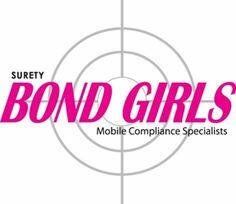 Surety Bond Girls' many years of bonding experience and our secure mobile technology allows us to deliver these services at a location convenient to your daily activities. Automobile Title Surety Bonds may be obtained in a fast, streamlined, 'hassle-free' and affordable way. Competitive Rates and Same Day Approval! Beginning December 20, 2013, the requirements for Title Applications in the State of Georgia changed. The surety or title bond must be accompanied by the appointment of an attorney in fact by the insurance company underwriting the bond. If the report indicates the title of record is from a jurisdiction other than Georgia, the application for a Georgia Certificate of Title must be accompanied by a certified title history from the state of issuance; see US map below. If the Georgia or other state certified title history indicates a security interest or lien, a notice or release of a security interest or lien (form T-4) must be included.